There is something alluring about the Pacific Northwest of the United States (Washington State and Oregon). Maybe it's the evergreen forests that crown the inland, or the lush waves of the Pacific ocean that burst into the rugged shoreline. In the end, it's the freedom and wanderlust that washes over you as you drive down the Pacific Coast Highway. As you may know this journey was different from my previous travels for me in many ways. I spent one whole month in the States, the longest I had ever been away from home and work. 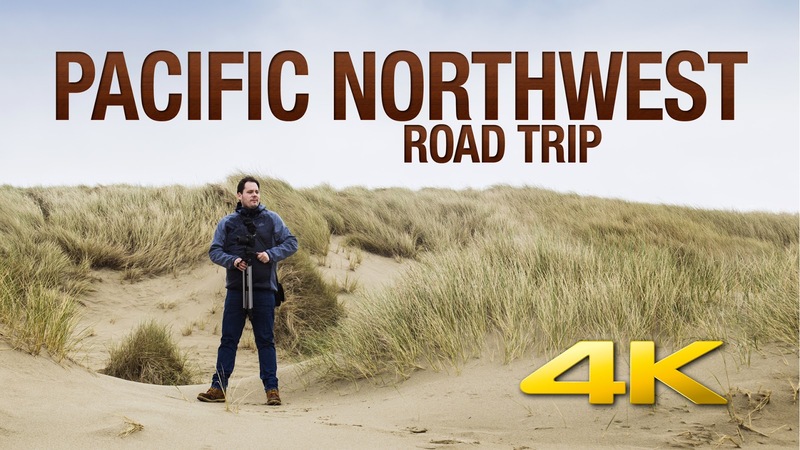 This video collects the top sights from our trip to the Pacific Northwest. Make sure to watch it in HD or 4K for a full immersive experience. For a detailed 18-part travel series click here. Mersad, what a beautiful video from your Northwest tour. It is like your still photography, stunning. You alway manage to get the best perspectives on the places you visit. Ein sehr tolles Video, das ich gerne angeschaut habe und hätte noch ewig schauen können. Ich mache in den Urlauben leider fast gar keine Videos, da ich immer nur mit dem Fotografieren beschäftigt bin. Watched the video, truly amazing. I love it! Especially the shots of the waves hitting the shore. Just gorgeous. Loved this! A beautifully made video of your trip and, as with all your previous trip posts, I loved seeing familiar places through your eyes. I thought how fortunate we are to have lived in the PNW, especially when we were raising our family and were unable to travel widely! All of the places you show were shortish getaways for us !